Thursday, July 6: Throwback Thursday Celebration. Come in costume for the time period. 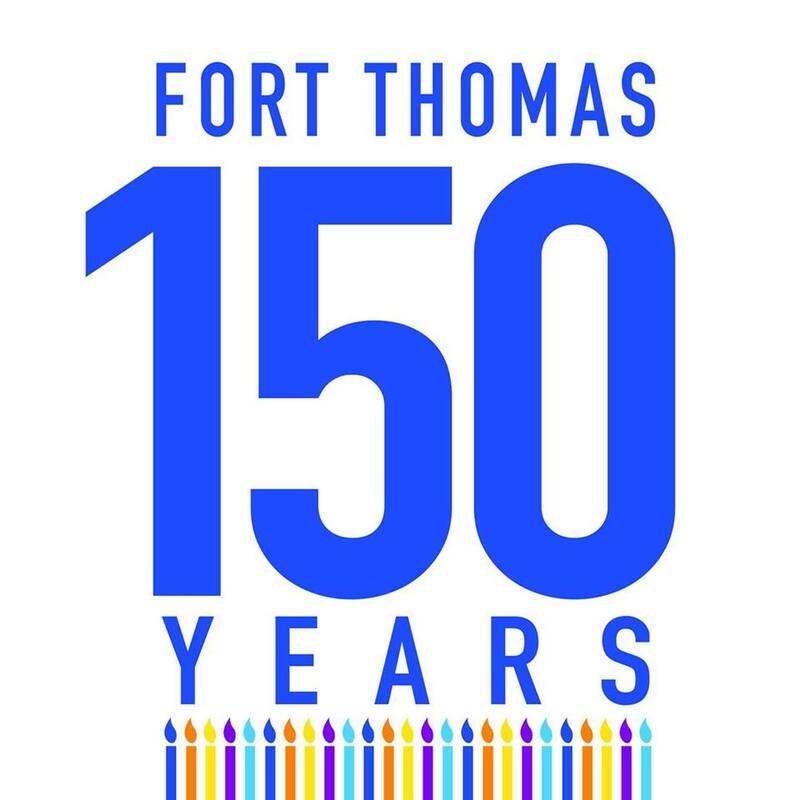 Costume Gallery will give 20% off if you mention “Sesquicentennial.” Join friends and neighbors a blast from the past as we celebrate early Fort Thomas history. 5:00 PM: Greene Street Open House. The residents of Greene Street will open their homes for tour. There will be hot dogs and other treats for sale. 5:00 – 9:00 PM: Horse and Buggy Rides Alexandria Circle. 5:00 – 9:00 PM: Historical Walking Tour of Alexandria Circle. This free event will be lead by a docent in period costume that will discuss the buildings and occupants of this historic area. 6:00 PM: Wax Museum Figures. Fourth Grade Students at Moyer, Johnson, and Woodfill Schools host an annual Wax Museum where students pick their favorite Kentucky person. They study that person and become that person. Students will present history to the city. Marian Sizemore will be there to take family pictures in front of our historic stills and with our historical wax figures. 7:00 PM: London Street Concert. Cincinnati’s Premiere Horn Driven Band performing the best hits from the ’60s, ’70s and ‘80s. Relax and listen to samples of London Street performing music from the likes of Chicago, Stevie Wonder, Whitney Houston and more. 8:00 PM: Dance, Dance, Dance. It’s a dance party that will surprise and entertain.